Having assembled the control box PCB and the LCD display, connected them up and wired all the lights and sensors up to the control box it is now time to upload the software. As there are 2 Arduinos involved there will be 2 separate programs that need to be uploaded. The 1st program is for the Arduino Nano which can be found in the control box and handles all the low level sensor monitoring and control. The 2nd program is for the Arduino Mega which can be found behind the LCD display and handles all the display rendering/touch control and logging via SD card. 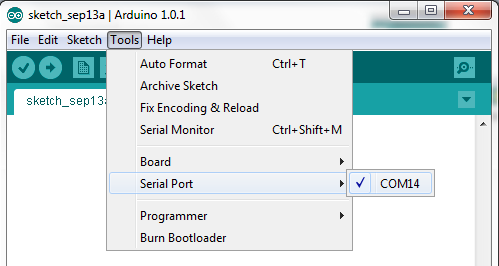 Before we begin you will need to download and install the (free) Arduino IDE software. This is what is used to upload the X-POD software onto the Arduino's and can also be used to modify the software is needed. 1. Download the C5_Touch_Control_BoxV2.zip file and extract it somewhere. I usually have a folder called Arduino in the My Documents folder but you can put it where you like. 3. Connect the Arduino Nano to the computer using the USB. Wait a moment whilst it installs the device drivers. Congratulations you've uploaded the software for the control box. Uploading the touchscreen software is a very similar process to uploading the control box software, the only differences are the board and software selection. 1. Download the C5_TouchV2.zip file and extract it somewhere. 3. Connect the Arduino Mega to the computer using the USB. Wait a moment whilst it installs the device drivers.